The yellow-y gene in Drosophila has been recognized for many years. Its sequence shares no apparent sequence homology to proteins from noninsect species. Mutation of the yellow gene produces a yellow-colored cuticle; therefore, the yellow gene has been extensively used as a model to study the molecular regulation of protein expression because of its visible phenotype. The completion of the Drosophila genome revealed a number of yellow-y like genes and based on their sequence similarity with yellow-y they have been classified into a Drosophila yellow gene family. As more insect genomes have been sequenced, it has become apparent that a yellow gene family is present in other insect species as well. The yellow gene family is unique in insects because members of this family share no apparent sequence identity to non-insect species. This then leads to some fundamental questions as to why this group of proteins has evolved only in insects and what functions do they perform? Based on limited research with select insect yellow genes, we speculate that at least one of its primary functions involves cuticle and eggshell (chorion) formation and hardening during insect development, and that the yellow gene family is vital for insect survival. The following provides data that describe/discuss the presence of a yellow gene family in different insect species, and the function or possible functions for some individual yellow genes. 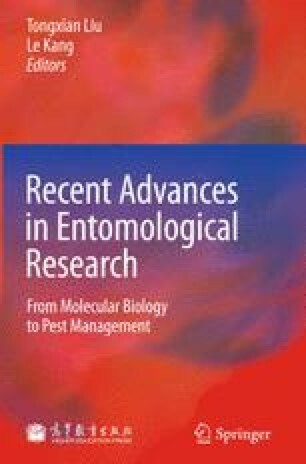 We also discuss some future directions for research that lead to a more comprehensive understanding of the insect yellow gene family. Because studies dealing with the insect yellow gene family have been limited primarily to Drosophila, the Drosophila yellow gene family is commonly used in the following discussion.